Hello everyone! First post here (at least in years) so I figured I'd show off my Shadow War Armageddon ork boyz team. I haven't gotten to play them in a campaign yet, but I've always loved orks, so there you go. Killshredda, the nob. 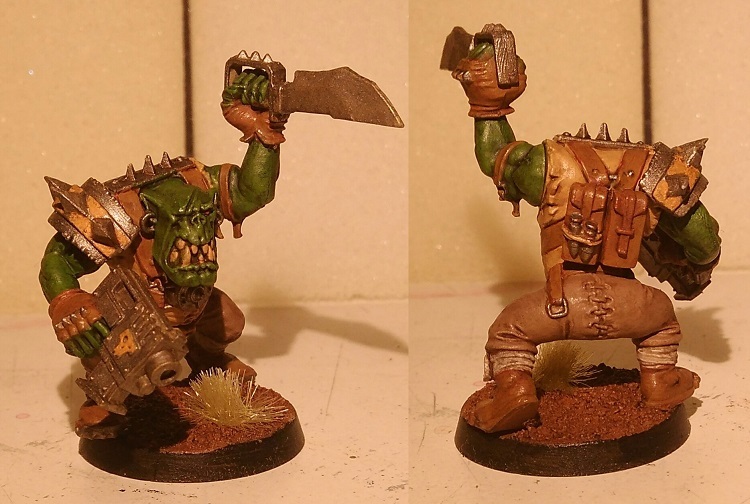 Armed with 2 choppas, squig-hide armour and a shank. Snurogg, spanner boy. 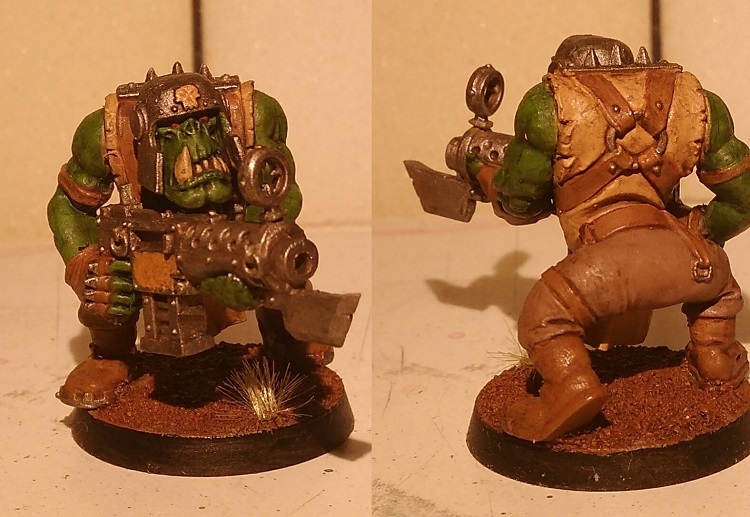 Armed with a big shoota, red-dot laser sight, squig-hide armour and a shank. Battlekrak, spanner boy. 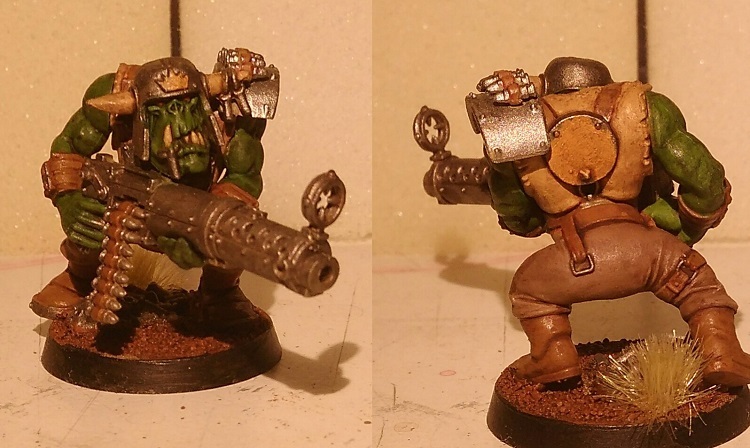 Armed with big shoota, red-dot laser sight, squig-hide armour and a shank. Ukkad, boy. 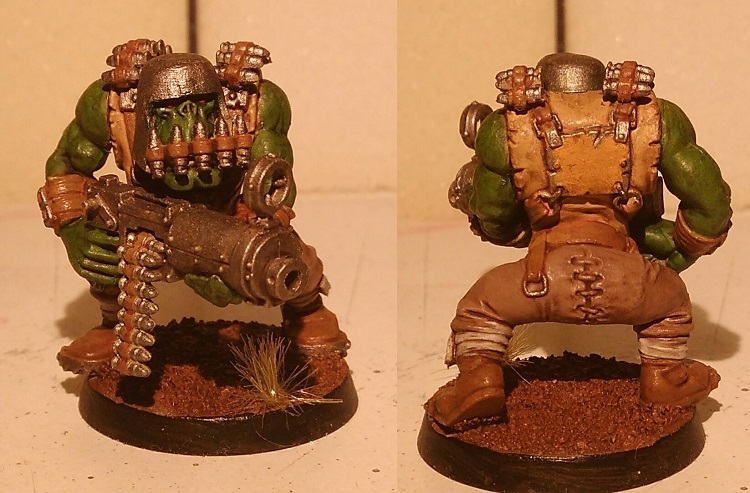 Armed with slugga, squig-hide armour and a shank. Smatgrok, boy. Armed with slugga, squig-hide armour and a shank. Katz, yoof. 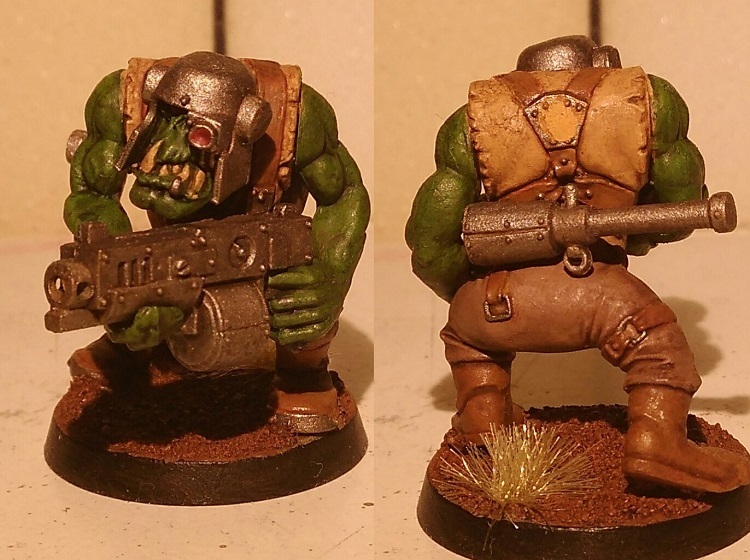 Armed with slugga, red-dot laser sight, squig-hide armour and a shank. Skakgod, yoof. 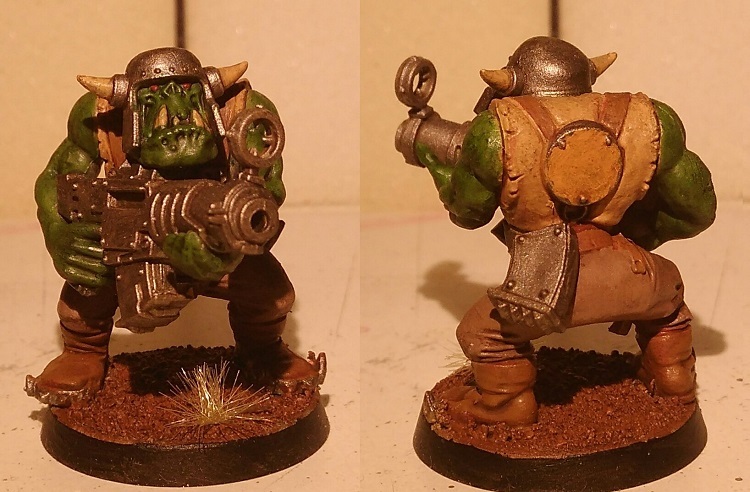 Armed with shoota, red-dot laser sight, squig-hide armour and a shank. Skaracka, yoof. 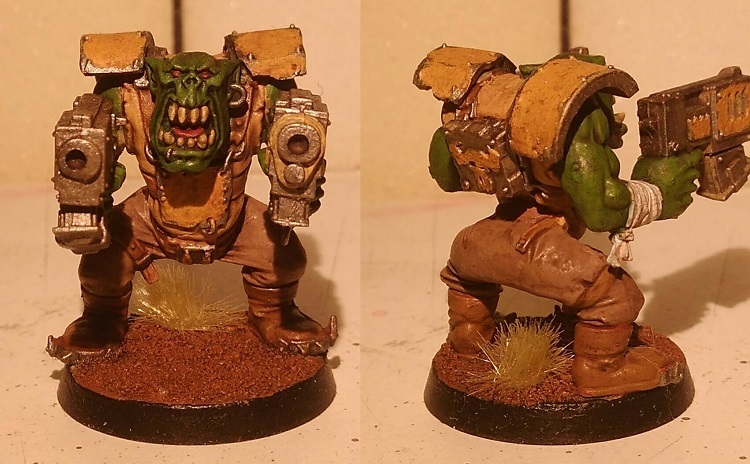 Armed with shoota, red-dot laser sight, squig-hide armour and a shank. Gurg, yoof. 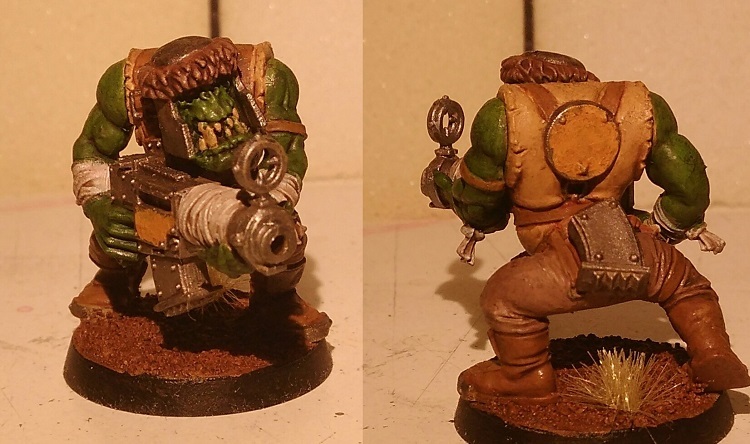 Armed with shoota, red-dot laser sight, squig-hide armour and a shank. Jowl, yoof. 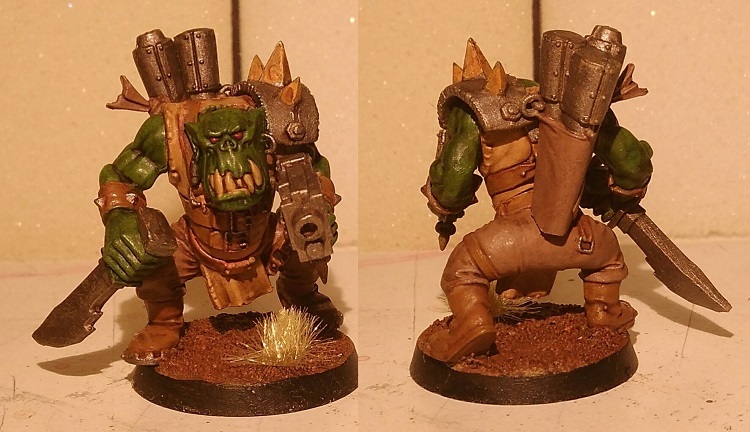 Armed with shoota, red-dot laser sight, squig-hide armour and a shank. 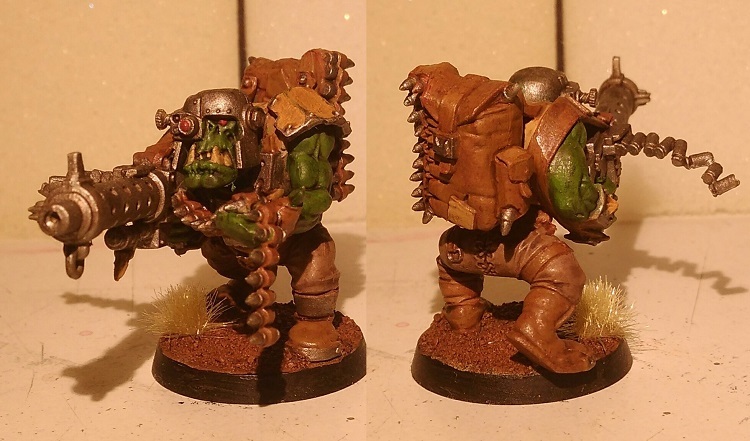 Hrognakk, boy armed with 2 sluggas, squig-hide armour and a shank. A note on the models. As I can't afford two big shootas with this many yoofs, I am only using Hrognakk as a proxy until I can afford an additional big shoota. Down the line I plan on using Hrognakk as a boy with Gunfighter if I'm that lucky and, considering Bad Moonz have Shooting skills, that shouldn't be too hard to acquire. Looking good. Now it might just be the pictures, but the yellow seems a bit dim to me. I thought it was leather colour at first, until I saw you mention Bad Moonz. Like i say though, that's probably just the lighting in the photos. Yeah, the lighting is a bit off in the non-group images. Their shirts are indeed all yellow, and I did intentionally make them somewhat dim yellows. Their glyphs and armour plates have a stronger yellow, though it can be a bit hard to see in the images. 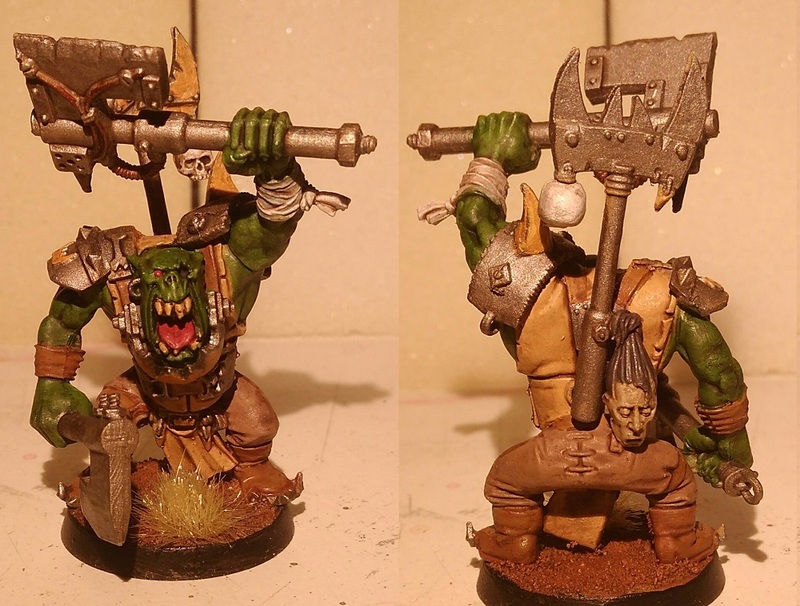 In SWA, orks call their knives shanks, though they have the exact same rules as the knives.